Homecoming Week kicks off on Tuesday, Sept. 8, and with the beginning of the week comes the excitement for the actual day of the event, which involves the infamous mums. While the mum tradition is a large part of our state, so is respecting the first responders that have given their lives in service for us. 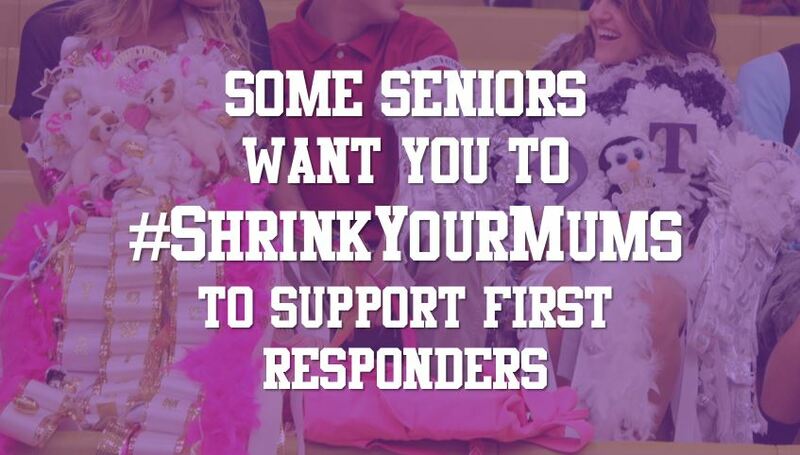 Timber Creek Senior Class President Addie Whitaker is helping start the first #ShrinkYourMums campaign to donate money to the National Fallen Firefighters Foundation during this Homecoming Week. “The Mission of NFFF is to honor and remember America’s fallen fire heroes, to provide resources to assist their survivors in rebuilding their lives, and work within the Fire Service Community to reduce firefighter deaths and injuries,” Whitaker explained in an e-mail. Instead of going all out and spending significant money to create or purchase a mum, Whitaker is suggesting students donate $5 or more to the organization during lunches in exchange for a button that shows that student’s support. Those wishing to donate to other 501c3 organizations that assist first responders (fire, police, emergency medical personnel, etc.) can donate to their chosen group and bring a receipt to receive a button during lunch. Whitaker says donations will be accepted beginning on Tuesday, Sept. 8, with buttons available for distribution on Wednesday and Thursday. Organizers said because this is a first time initiative, there is a limited supply of buttons; first come first served. Actually shrinking the size of your mums is not a requirement, but if you have money to spare then donate to #ShrinkYourMums. Broadsheet Editor, avid reader of typical high school books, writer for the Talon as well as a writer for my own entertainment.